In Playa Bávaro, along a stretch of sugar-white sand, palm trees and turquoise tides, a resort where understated architecture is in wonderful contrast with sublime accommodations and amenities. A mere 30 minutes away from Punta Cana International Airport, this adults-only haven will offer an array of ways to relax and reawaken. Romance and sensuality paired with pool and beach wait service, 24-hour room service, unlimited premium beverages, gourmet dining options, create the perfect vacation experience. At Secrets Royal Beach, it's paradise from the ground up. And Unlimited-Luxury® means a wristband-free, excitement-filled getaway. Modern Caribbean-inspired touches create an alluring haven. The spacious accommodations will have a furnished balcony or terrace with exterior Jacuzzi, full marble bathroom, 24-hour room service and nightly turndown, daily refreshed mini bar with soft drinks, juices, water and beer, in-room climate control, just to name a few of the amazing touches. 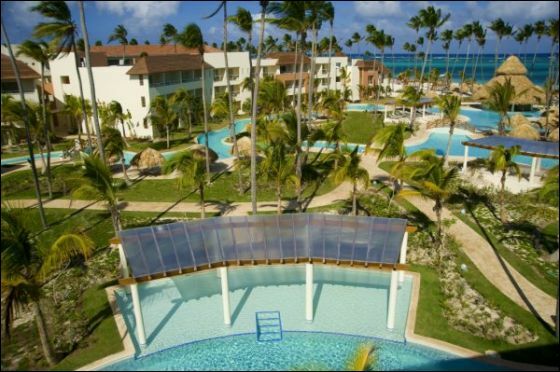 A remarkable adults-only vacation with a bonus— Now Larimar Punta Cana, located next door. All together, 9 reservation-free gourmet restaurants, 10 bars and lounges, activities and entertainment beyond belief. A large free form pool winds its way throughout the lush, tropical gardens. 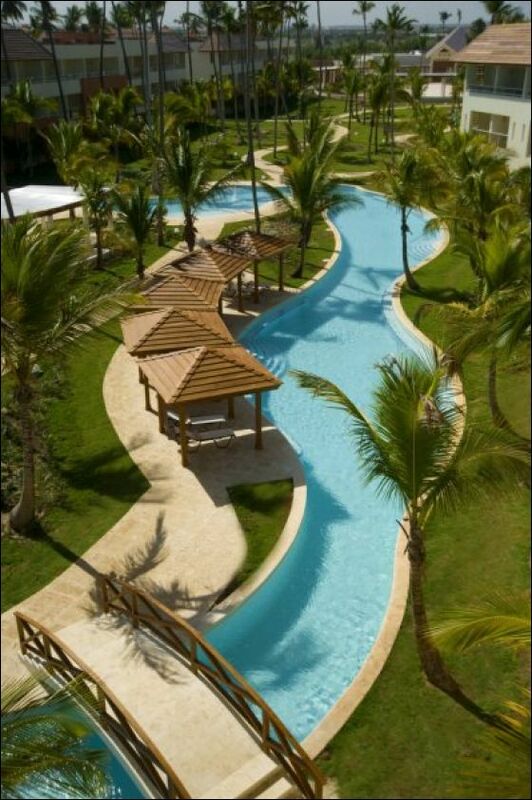 Plus everyday adventures are at your fingertips with any array of activities, located at Now Larimar, to choose from. Activities include kayaking, windsurfing, sailing, bowling lanes, pool tables, tennis, open-air music lounge, on-site casino and theater. World-class golf is just minutes away. Be transported without ever leaving. Enter one of Secrets Royal Beach's most indulgent spaces, the Spa, to partake in a menu of otherworldly pampering. You'll be treated to over a dozen transcendent massages, facials and body treatments. Surrender to the hydrotherapy, individual and couple's indoor massage suites, sauna, steam room and plunge pools. The perfect segue to a private romantic dinner on the beach. Just got my first chance to give you our input on our trip to Secrets Royal Beach, Friday, March 16-Saturday March 24. Transfers: We went to the Apple desk in the Punta Cana airport. We were taken to our van within a few minutes but had to wait about 15 minutes for a couple who were "mixed up" for whatever reason. First stop was Now Larimar and then our drop off at Secrets. The latecomers were next to I can't remember where. Front desk/reception/etc. : We were warmly greeted by the staff (Esther Soriano, etc) who assigned us to a room in exactly the location we requested. Room 4360, top floor, facing inward. Let me know if you want the specifics regarding all of the buildings, rooms, location etc. We then met our personal butler, Alexis, who escorted us to our room. He made it very clear that he was at our service during our stay. He took care of reservations at the specialty restaurants, brought our rafts to the room, took care of without giving up on the airconditioning problem we had in the room, etc. Such a nice young man. All of the guests do not get butler. For whatever reason we were chosen to receive the service! We asked Alexis and he seemed to explain that we fit the profile of the guests they wanted to reach. (frequent travelers, Apple clients, etc. Room: Large with 2 full/queen beds, ample pillows, duvet covered comforter, a couch, balcony with jacuzzi,enough space for our clothes. The bathroom had 2 sinks, a separate bathroom with toilet and bidet, and a very large walk-in shower. All bath amenities including SPF 15 sunscreen. My only criticism regarding the bathroom is that a shelf/storage is needed for the many toiletry and cosmetic items that we bring. Super CLEAN, maid service twice a day, plenty of towels. Beach: Beautiful, deep, plenty of chairs and palapas BUT the towel game is in full swing. I was out every morning around 7 and I did not get front row seats! There was seaweed but it was cleaned up along the beach and not so much that it would keep you from going in the beautiful water. Pool: Lazy river that on which we floated and walked. Also, a pool with a swim up bar. Lots of chairs in many locations including tables and chairs that were in a small pool further into the property. Service: "EXCELLENTE" from every one on the staff. Our names and favorite cocktails were remembered from day one. An apple was placed on our table at meals so that the staff would know we were on an Apple trip. Food: This is the only category that I would say was good, not excellent. Breakfast and lunch were very nice, good selection, but the same thing every day except for the carving board item. We did like the charcoal grill going on just outside with hambies, hot dogs, chicken, and some days fish and veggies. Quality, quantity, and cleanliness were always there. We ate at the 2 ala cartes at Secrets. They were good, just not great. Three nights we went to the a la cartes next door at Larimar. The Japanese was poor, no real choice of what we wanted, and no "show" cooking by the chef. The Italian was awful and the American was fair at best. Entertainment: The entertainment team is a lot of fun. Every day during the day, there is stretching on the beach,dance lessons, volleyball and baseball on the beach, aerobics in the pool, some sort of pool games in the afternoon and a different special activity by the pool around 4:30 PM (towel art, cigar presentation, fruit cutting, etc) There is live music in the Secrets plaza around 9:30 PM and a live show at the Now Larimar plaza every night, I think. We did not attend so I can't comment. We did play blackjack in the small casino located at the Now Larimar every night. YOU ALL are the best. You follow up on everything and are so pleasant and nice to deal with. Here is out review of the resort. We had a great time and our wedding was beautiful. Here are some of our pictures below. Thanks for everything! The flights: We had no problems with our flights. Our layovers were not too short or too long. Transfers: No problems with the transfers either. They do pick you up about 3 hours before your flight but it really wasn't bad considering the plane boarded an hour before it was scheduled to take off. Beach: The beach was beautiful. The only thing we disliked was the amount of people trying to sell you things. We were constantly being asked to purchase excursions and visit flea markets etc. Pool: The pool was great. It has several different parts so you can hang out in the busier area by the pool bar where they have activities going on, or you can hang out in the quieter areas. There are servers who walk all around the pool to get your drink orders so you never have to get up and go over to the bar if you don't want to. We never had a problem finding any chairs. One part of the pool has hammocks hanging over the water which we really liked. Service: The service was great and everyone was very friendly. Some do not speak much English though. One server at one of the restaurants didn't speak any English and explained the whole process and menu completely in Spanish. But we knew enough to understand most of it. Food: The food was pretty good. I am a picky eater and I was always able to find something I like at the buffet. Some of the restaurants had small portions of food and others gave us so much food we couldn't eat it all. We both starting feeling sick on the 3rd day we were there and had problems off and on. We attributed this to the food since we did not drink of the water. Rooms: Our room was nice and big, as was our bathroom. We liked the ocean view balcony and jacuzzi. We had a king bed as requested which was very nice. The room was cleaned every day and our mini bar was restocked every day. The only thing I didn't like was that our sheets were never changed. I don't know if resorts usually do this or not but we were staying for 7 days and no matter how many showers we took it was impossible not to get sand in the bed. Entertainment: This resort had a lot more entertainment that others I have been to. They had live shows ever night on the Now side although we actually didn't go to any. The Now plaza was very busy at night and full of vendors trying to sell you things. We preferred to stay at the Secrets plaza where they had live music and drinks. They also had nightly movies on the beach. There were different classes in the afternoon you could attend to learn how to make things etc and they had yoga and water aerobics classes. Would you return: Yes we would return to this resort. Would you recommend this resort? Yes we would recommend this resort, especially for people who are looking for a quiet vacation. Your service was very helpful. I was finding myself too busy to worry about working out the details of the vacation (and especially the wedding planning). Once I started talking with you guys I didn't have to worry about any of that! All we had to do was pick the resort! 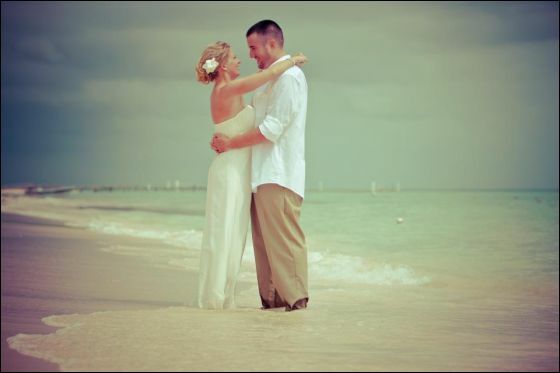 Any additional comments: I would recommend this resort for anyone planning a destination wedding in the area. Our wedding planner Christina made everything very easy. I was worried about some of the little details but she took care of everything. And it was a plus that our wedding was free with the 7 night stay. We had the ceremony with music. We got our bouquet and boutonniere. We got a reserved dinner that night with a wedding cake and champagne and a dessert tray. I also got 15% off the spa services. My hair and makeup was done amazingly, although it was a little expensive ($150). The wedding photographer Ricardo is amazing. He was so professional and so nice. He has a lot of photography experience and our pictures were amazing. They were a little pricy it was worth it to us , especially since the wedding package itself was free. The flights: Frank, upon arrival at the airport we were able to upgrade to first class for an additional $200.00 dollars. We confirmed with the Apple rep. at the resort on Wednesday that all was well with the upgrade but still had difficulty on our return trip getting into first class. Patience and Otto's abilty to communicate finally won out and we were then given first class seats but not without reservation. The person at the counter though upon our request that we had first class tried to just give us seats in coach closer to the front - my suggestion is to pay very close attention. We caught this and was firm after paying for first class. Once seated the flight both ways was good. Transfers: Since we booked so late - unfortunately we were not in the system at the airport or the resort. We did finally make it on a bus to the resort. Once there the return was good. We just had to move to the NH Arena next door for pick-up but the staff was very helpful. Beach: The beach was wonderful and beautiful. The sand was silky and smooth and the water was such an incredible color of blues and greens. They removed the seaweed each morning. 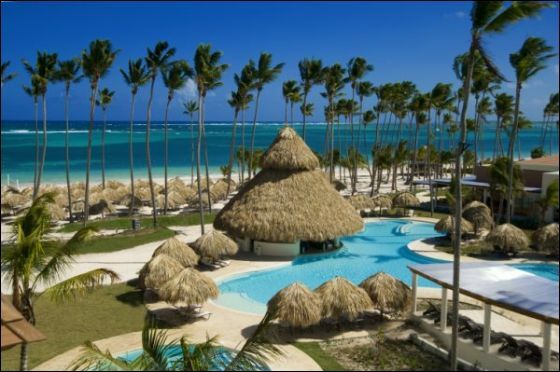 We spoke with many other who have traveled extensively and they felt the beach was extremely good at this part of Punta Cana. Pool: The main pool is not overly large. Not sure what the effect would be if the resort was at full capacity. It was extremely maintained and clean. The swim up bar was most often full in the late afternoon. The main pool does not connect with the smaller swim areas and river - I think this is to keep debris under control if a storm occurs also it helps keep those drinking in a confind area. The surfaces around the pool and leading into the water are extremely slippery. Otto fell twice just going down the steps into the pool (no alcohol involved). Service: Service was incredible (but we are very good tippers). What we lacked in top shell alcohol or food was made up by the service we received. We became familiar with many of the staff throughout the resort and was always treated with the most respect and I feel they went out of their way to make sure we were comfortable. Leonardo did not stop until I was in the suite that I wanted (although the tip might have been our saving grace as well - but I would like to think not). The only complaint I would have is in reference to the ring I lost. It was lost during our move. We asked if we could check the other room and the safe but never received a call back from the front desk during that day. The ring was not expensive but was a gift from my sister. We decided to chalk it up as a loss and not let it interfer with our stay. Food: We were not overly impressed with the food especially for the price. I had expect top shell alcohol and gourmet food. It was good but not great. Many of the restuarant offered only chief's choice which we ran into a problem since Otto has a shellfish allergy. We ate at all three at the NH Royal Beach and felt Pure was the best. We received reservations upon our arrival for all the those including those at the NH Arena. We only went to one at the NH Arena and found the food and service lacking - we did not return. Also the NH Arena resort has many children and young adults - when you pay for adult only this doesn't meet the mark. There is a definate difference between atmosphere and service between the two NH. We would not have been happy at the NH Arena. The buffet was good but once again not up to standard - also they mixed shellfish dishes with others in the same steam bins which meant Otto could not eat them. Rooms: We changed rooms twice. Upon arrival we were able to upgrade into an Oceanfront Suite for $280 for the week but was told the king size suite would not be available for a couple days. Since our room was not ready they took us to our original oceanview room. It was a very nice size and did have a view of the ocean. We then were moved into the first Oceanfront suite. They are incredibly roomy. The only problem being is we requested a king size bed and this suite had two doubles - Otto pushed me out of bed on our first night. It was closest to the NH Arena. Otto went to the lobby for water and Leonardo informed him that the king size suite would be available tomorrow (Tuesday). We then move to the king size suite next door. INCREDIBLE - is the only way to describe. I truly feel we had the premier suite (there is only four oceanfront suites but this one has to be the best). 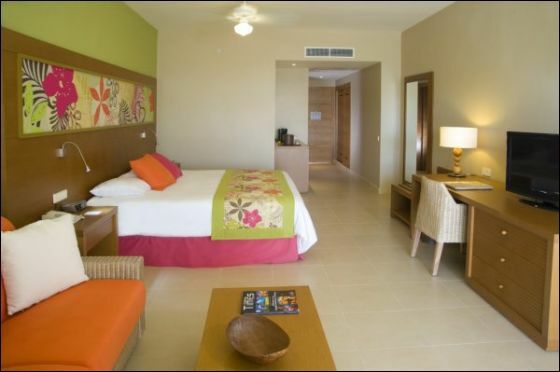 The suite has a large living area with seperate bathroom w/shower, a master bedroom and master bath w/shower and jacuzzi. We had two balconies - a small one overlooking the main pool area and the front balcony with the most incredible ocean and beach view. The balcony had a table and chair, two chaise lounges and a jacuzzi tub (thought this tub should of been larger than the one inside and maybe a bit more hidden). We spent many hours just laying there watching everything around us. The king bed was so very comfortable and this is something I don't say very often when traveling. I could lie in bed in the morning and watch the sunrise over the ocean. The two suites below us had a bit of foot traffic past their doors and did not have the view we had from the second floor. Worth every penny spent of the $280 upgrade fee. The decor is reserved and minimalistic - very nice. Not overly beachy. The orange and green coloration reminded me a bit of the seventies. Entertainment: The entertainment was a bit lacking. They had a band play each night which I felt was only mediocre at best. Setting under the stars was great though. I believe they rely on the entertainment of the NH Arena but unfortunately those paying for adult only will not find this acceptable. We had many comment on the crowd and also the children and young adults at the NH Arena. I think they need to work on maybe not so grand of entertainment but more reserved and culture aimed toward an older crowd at the NH Royal Beach. I would of liked to hear more local talent instead of the oldies with a heavy accent. Would you return: Definately - YES! But this was only our first and plan to have many to compare. I think we might have a hard time beating the room and beach at this resort. Would you recommend this resort? Yes - but I think some time for the grounds to grow and become more lush would be nice. The landscaping was very young - in a little time it will be beautiful. That was one area the NH Arena was very beautiful and lush. How did you find our service? You have been wonderful. I cannot tell you how much we appreciate your time and efforts and sound advise. You listened to me when I told you what I was looking for. I now know it must be adult only and a smaller resort of say around 300-400 would be a good fit for us. I don't think a large resort would be worth our money. Would you recommend our service to your family or friends? Definately - YES! Any additional comments: I would caution people that the stone and marble steps and walkways are extremely slippery. I fell going up the steps to our suite and bruised the entire forearm of my left arm. The steps are a shiny marble and have sharp edges. I was very lucky it didn't break. Otto and I walked very gingerly after. Common sense and a good shoe with traction - lol. We wouldl like you to keep you eyes open for anything that would be an exceptional value. Probably in April or May. Adult only and most likely a smaller resort. Aruba or Mexico. I love the hotel! The rooms are large and beautiful, the pool is this incredible winding river, and the restaurants are fantastic. I know your clients will love it!